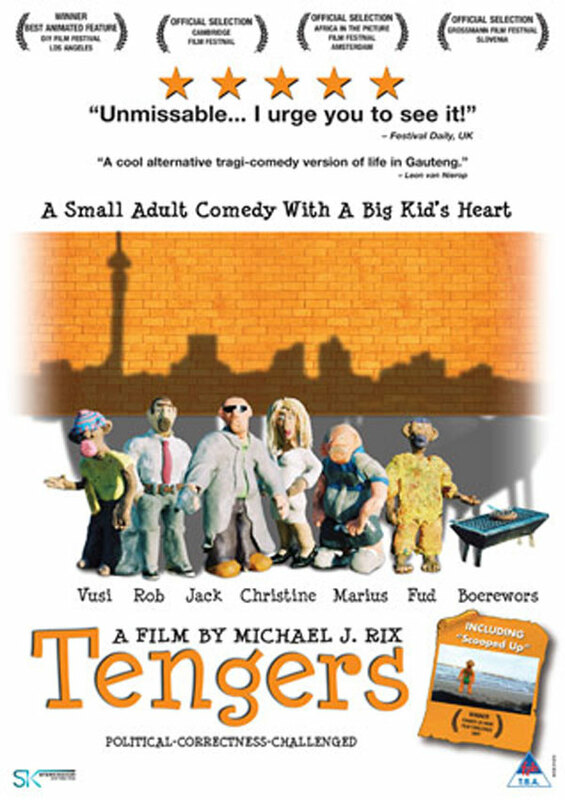 Although full of comedy, Tengers is not the kind of cute, cuddly fun you might expect from the Disney, Pixar or Dreamworks stables. It’s South African in every sense of the word, dealing in an adult way with what makes post-apartheid South African society tick, and with a unique rough-around-the-edges aesthetic designed to enhance the dark subject matter. The story revolves around Rob, a young out-of-work white writer, procrastinating work on his great South African novel. When he wins on a lottery scratch card that provides him a salary for the rest of his life he thinks all his troubles are over, until he becomes convinced that someone is trying to cut his life short!